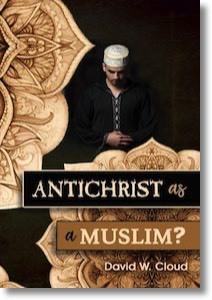 There is a small movement today that sees the Antichrist as a Muslim who will arise from the Muslim nations. The chief proponent and promoter of this view is Joel Richardson (b. 1971), author of Islamic Antichrist, Mideast Beast, and other books and video presentations. 1. The Muslim Antichrist position feeds on ignorance. 2. The Muslim Antichrist position leans heavily on a study of current history and Muslim prophecy, instead of being developed directly from a right interpretation of the Bible prophecies themselves. 3. The prophecies in Daniel are clear on the fact that the Antichrist will arise from the ancient Roman Empire, and the efforts to interpret these prophecies in a manner different from traditional dispensationalism have been entirely unsuccessful. 4. The Muslim Antichrist position is frequently based on the more obscure prophecies. 5. The Antichrist will find a solution to the age-old animosity between Israel and the Muslims, but the Bible does not say where the Muslims might fit into these things.